and/or workers’ compensation risks for the insured project. Most wrap-up liability insurance policy will also be written to include occurrence coverage which will extend coverage protection term limits up to ten years after the completion of the insured project, thus allaying the worry of future claims, and eliminating the need for an owner or project contractor to continue paying or purchasing additional insurance policies to cover potential future exposures or associated risks with any unforeseen construction issues or claims of negligence. The benefits of purchasing wrap-up liability insurance can be substantial. If a large and severe loss, accident or claim is filed against the project, which includes multiple contractors the claim can be covered with in the scope of one policy. Without a wrap-up policy in place there may be multiple insurers representing multiple interests. This can lead to cross litigation and insurances claim investigations which may cause major delays and major costs to the project. Having all involved worker under a single policy can streamline the claims process, saving time and money. In many cases contractors’ which are responsible for providing their own insurance policies will add the cost of coverage, plus profit and overhead, to their contracts. For large project with multiple contractors that extra cost can accrue to be a substantial cost to the overall project. The savings associated with consolidation can help pay the costs of the wrap-up policy, thusly leading to great savings for the overall project cost. Purchasing a wrap-up policy can eliminate these extra costs. Control of the policy also remains in the hands of the project owner or head contractor which allows the decisions to be made by higher management which can make for a more efficient managed project. Factors like the limits purchased, risks arising for a project, the loss control, claims services and benefits from cost savings all remain under the control of the project head. Keeping control of the insurance policy also ensures that every person, contractor and worker, is properly insured during the project, and after the completion of the project, and for a given time after the completion of the project, elevating potential future risks which may not have been properly insured. The wrap-up policy will lessen the loss exposure to the owner or head contractor. While all policies will vary and are tailored to the specific needs of the purchaser, most wrap-up liability insurance policies will typically include, general liability, worker’s compensation, excess liability, and builder’s risk. Additional coverage’s may include, project environmental liability, project design team errors and omissions. 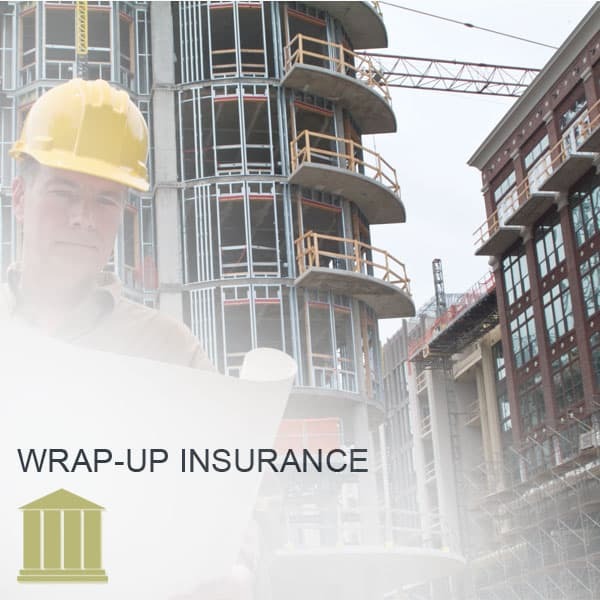 Any large project should consider purchasing a wrap-up insurance policy to ensure the owner will be provided with the best possible risk exposure and management.